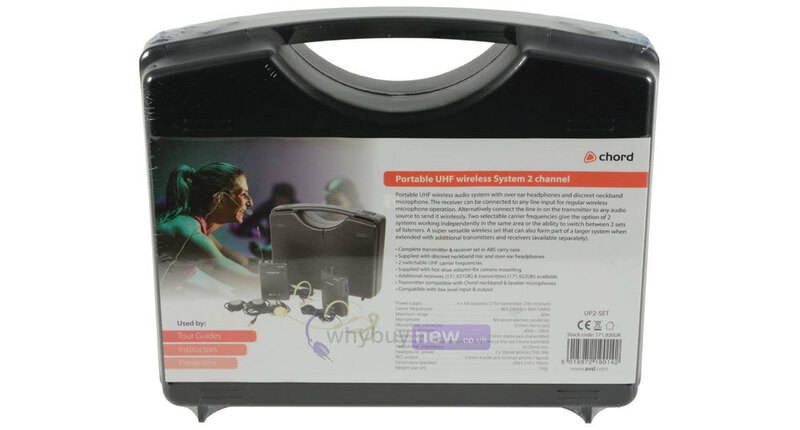 The Chord UP2 is a portable UHF wireless microphone system which is suitable for dance instructors, presentations, educational events and tour guides. 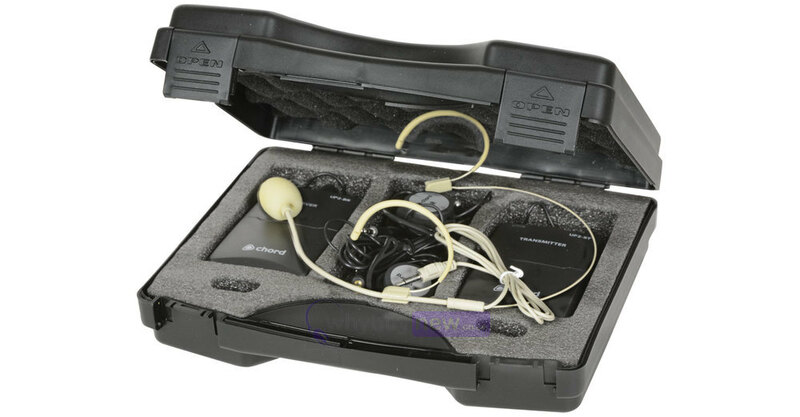 The system includes a neckband mic, beltpack transmitter and is supplied with a portable beltpack receiver and over-ear headphones. 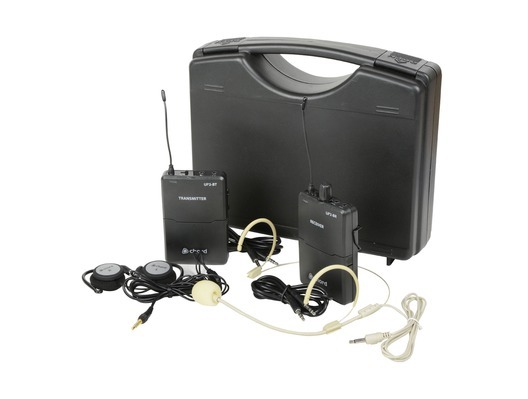 The receiver can be connected to any line input for regular wireless microphone operation or as a wireless link to an active speaker. Two selectable carrier frequencies give the option of 2 systems working independently in the same area or the ability to switch between 2 sets of listeners. Additionally, a hot-shoe adaptor is provided for mounting to a camera for broadcasts and video presentations. 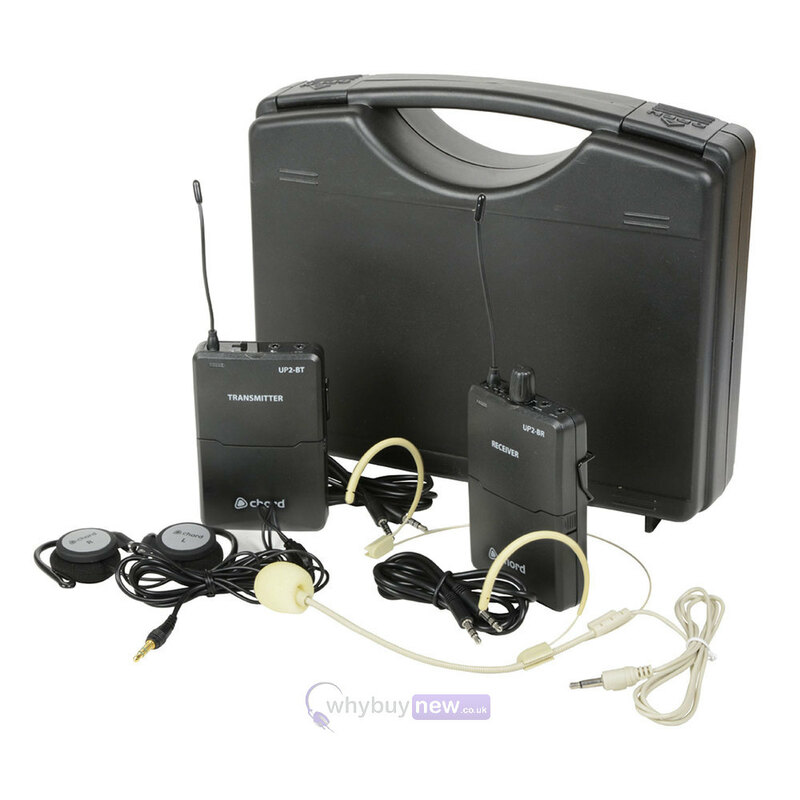 A super versatile wireless set that can also form part of a larger system when extended with additional transmitters and receivers (sold separately).